The Knights of Arkley are coming! And they will be entertaining you with their spectacular jousting skills. 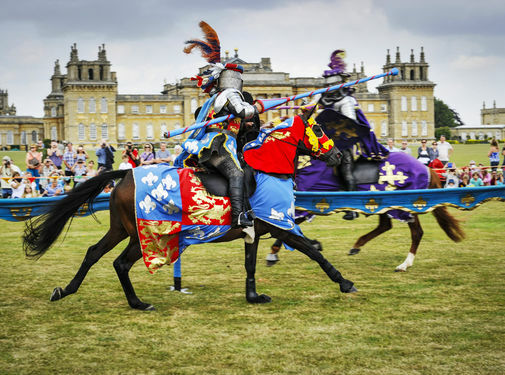 From the 19th to the 21st of August the Knights will be battling on the South Lawn of Blenheim Palace. Blenheim Palace is always great for an amazing day out, but with the Knights of Arkley on site, you will have a truly thrilling and unforgettable day. 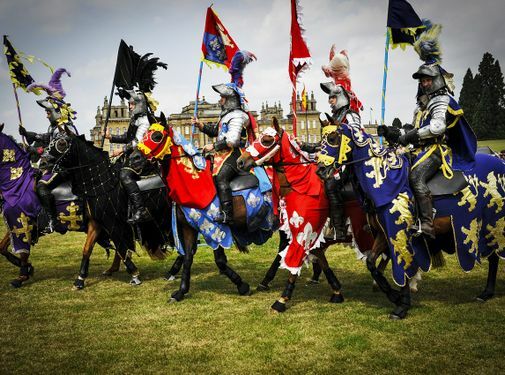 Gallant Knights, Mighty Steeds, Battles on Foot, Falconry Displays, ‘Have-a-Go’ Archery, Dragon themed puppet shows, Jesters and Jugglers – It is sure to be a weekend packed with entertainment for the whole family. A Park and Gardens Ticket is required for this event. This event is free for Annual Pass Holders. If you don’t have an Annual Pass, don’t forget you can buy One day and get 12 Months FREE!